Spanish retailer Xtralife is quickly making a name for itself by listing unreleased games. 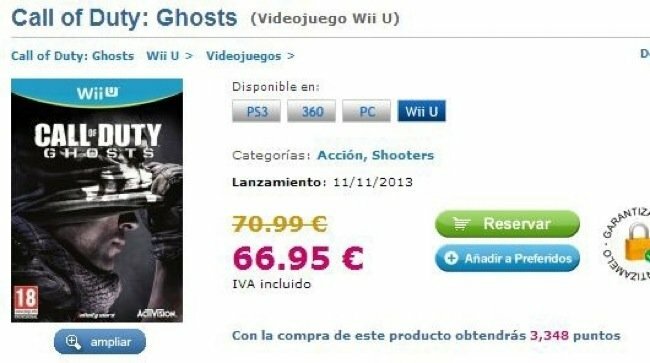 After recently putting up an entry for what’s likely to be Ubisoft’s next Assassin’s Creed Vita title, the retailer has posted listings for a new Call of Duty title subtitled Ghosts. The game had previously appeared on both Tesco and Target websites, but the PC and Wii U versions listed here are new, as is the specific November 11th release date. No further details are available about the game as of yet, but no doubt Activision PR is kicking into gear as we speak.